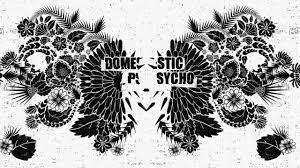 Domestic Psycho – Du Klingst Gut! generique avec voix domestic psycho from Alexandra Midal on Vimeo. Sounddesign to the Video by Alexandra Midal “Domestic Psycho” for the Exhibition “home (very) sweet home” curated by Alexandra Midal & Matthieu Lelièvre.